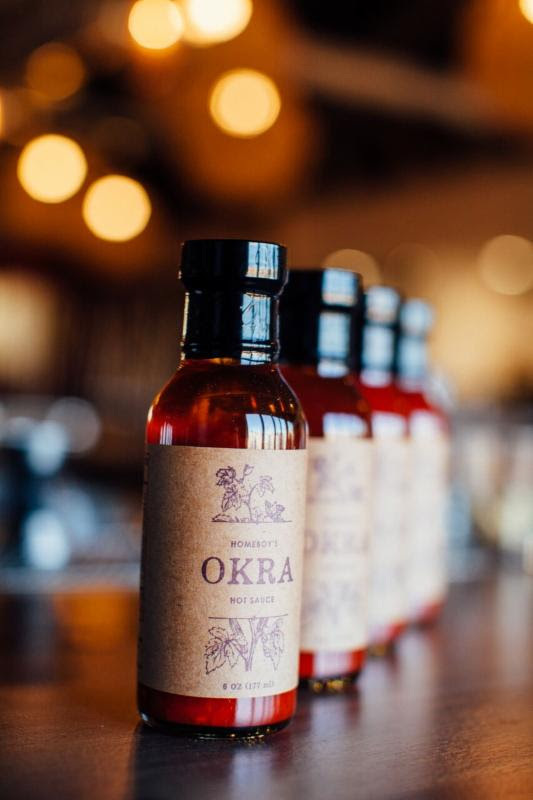 The weather might be cooling off, but things are heating up at Okra Cookhouse & Cocktails, where they are hosting a three-course Southern-style dinner featuring AZ’s-own Homeboy’s Hot Sauce and chef Stephen Jones of the larder + the delta. Held on Monday, October 10 with two separate seatings at 6 and 8 pm, tickets to this can’t-miss culinary throw-down are only $35++ per person. Plus, enjoy your choice of perfectly paired wine or craft cocktails for an additional $15 or $20, respectively. Reservations are required, so call 602-296-4147 today. Full menu below, but highlights include one dish each prepared by the larder + the delta’s Stephen Jones, Homeboy’s Jacob Cutino and Okra’s Cullen Campbell. Think traditional Southern fried catfish that’s been given an Italian ‘Milanese’ twist and served with Okra’s proprietary Homeboy Hot Sauce, plus radish, iitois onion and ‘franch’ (a 50-50 blend of ranch and creamy French dressing). Or Chef Jones’ spicy, miso-smoked cobia fish, or chef Cutino’s vibrantly yellow-red char sui chicken glazed with Homeboy’s Habanero and pomegranate.